Your design portfolio is your chance to present your projects in their best light, which is why photographing them well is a crucial part of the process. Here’s how to nail your photoshoot. – The piece of work you’re photographing, whether that be a print of yours or an object. – Preferably a tripod (but don’t worry if you don’t have one). – A source of lighting – this can be dome-shaped clamp lamps, with daylight balanced bulbs, or just a nice big window, if you’re conducting your photoshoot during the day. – Something to clip the lamps onto (a couple of chairs will do). – Push pins or nails if you’re hanging the piece on the wall. – Small props or stands if you need to prop up the object you’re photographing. 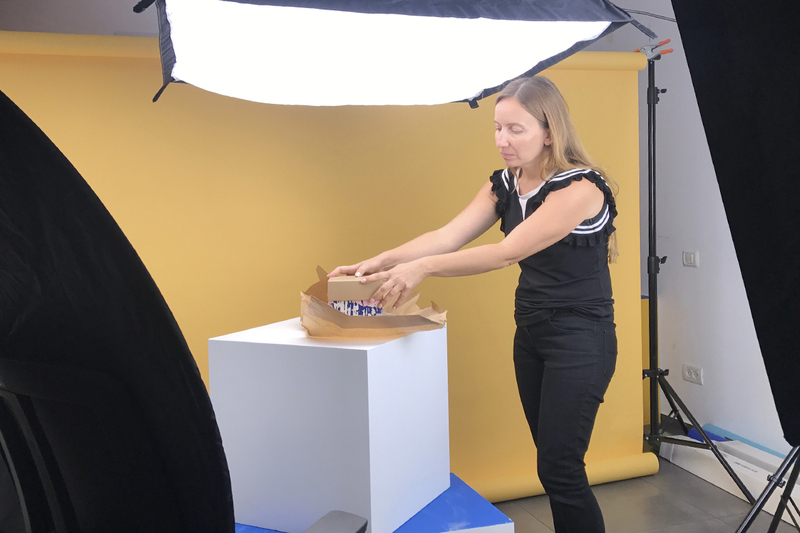 – If you’re photographing a three dimensional object, you can make a homemade lightbox, or use a large plain colored sheet or roll of paper, and white foam board to make a reflector card. 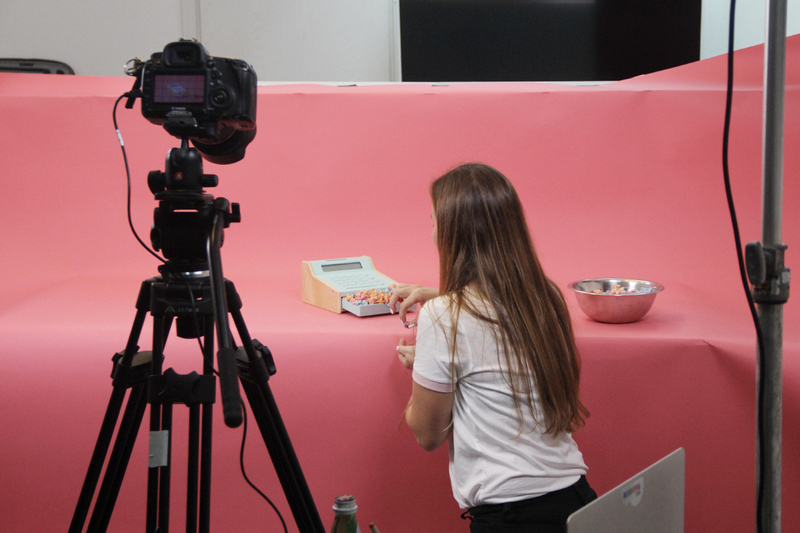 Behind-the-scenes of a product photoshoot. This is where you should ask yourself those burning existential questions, most importantly ‘who am I?’, ‘what is the essence of my product and brand?’ and hence ‘what vibe do I want to give off?’. Ultimately, the results of your photoshoot should be a set of photographs that are aligned with your brand. So once you’ve got a few answers, start searching for inspiration and exploring various composition and styling options. It’s true that if you want clean product photos, you should go for a white background and photograph from a few standard angles (more on that later). But if you want to take it a step further and add a sense of personality, allow yourself to go a little wild. Perhaps you want to incorporate some additional objects in the photo, placing your print or object in a specific setting. 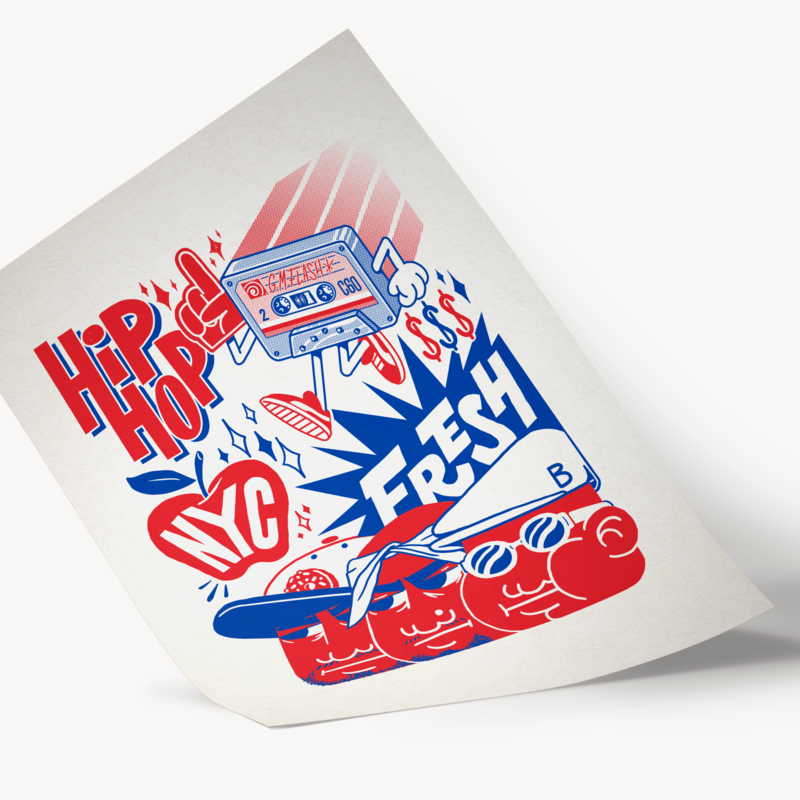 You could even create an animated gif of your hands leafing through a hand-printed zine, or a hyper stylized fashion shoot starring your very own creations. Remember that the photoshoot is where your product should really be its best self, so understand how you can show off all its best assets. Lisbon-based graphic design studio, Two One Studio, have included clean product photographs on their Wix website, as well as more atmospheric shots of their pieces. 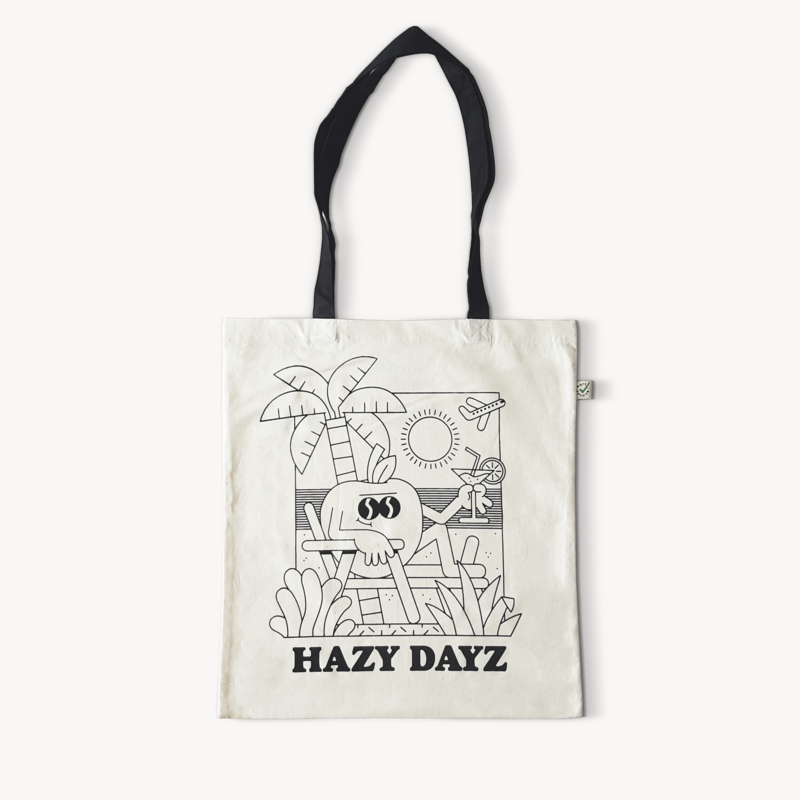 This not only enables their online store visitors to get a clear picture of their products, but also gives them the freedom to express themselves more creatively, with fun, on-brand photoshoots. 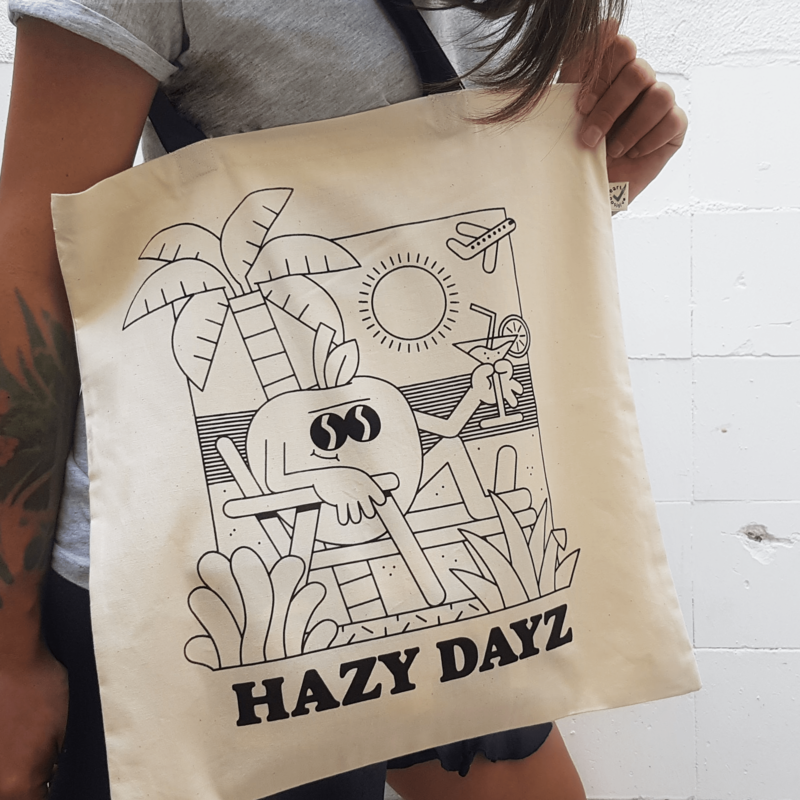 Above: Hazy Dayz Totebag and NYC Superfly Print by Two One Studio. The same goes for illustrator and Wix user Levi Jacobs, who chose to present his gorgeous illustration in a just-as-gorgeous setting, incorporating a few perfectly placed props for a spot-on, balanced composition. This kind of image also gets your site visitors or followers daydreaming about what your piece will look like in their own homes. Tropicana Girls, risograph print by Levi Jacobs, New Chique Gallery. 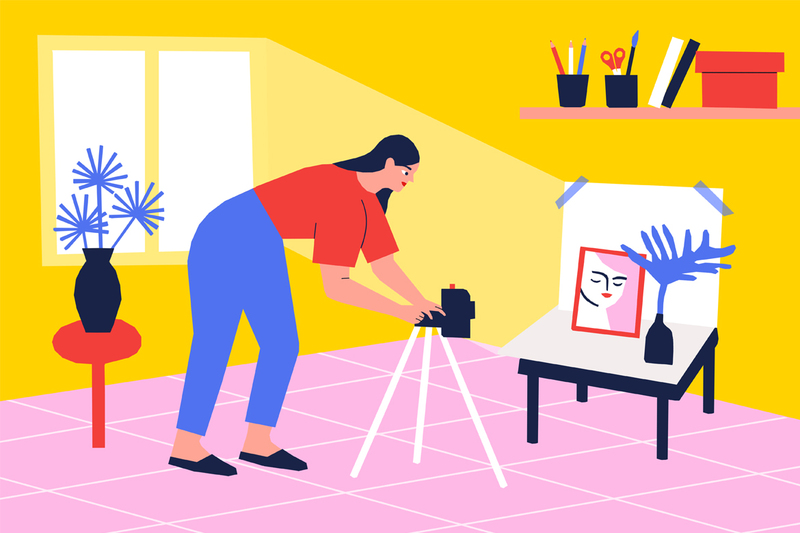 Super talented illustrator and Wix user Jennifer Xiao is another designer who definitely knows how to create the right vibe for her photoshoots. The wonderfully happy-making shot below encompasses exactly what Jennifer’s work is all about. Plus, this bright, colorful image is sure to stand out on our favorite social feeds. 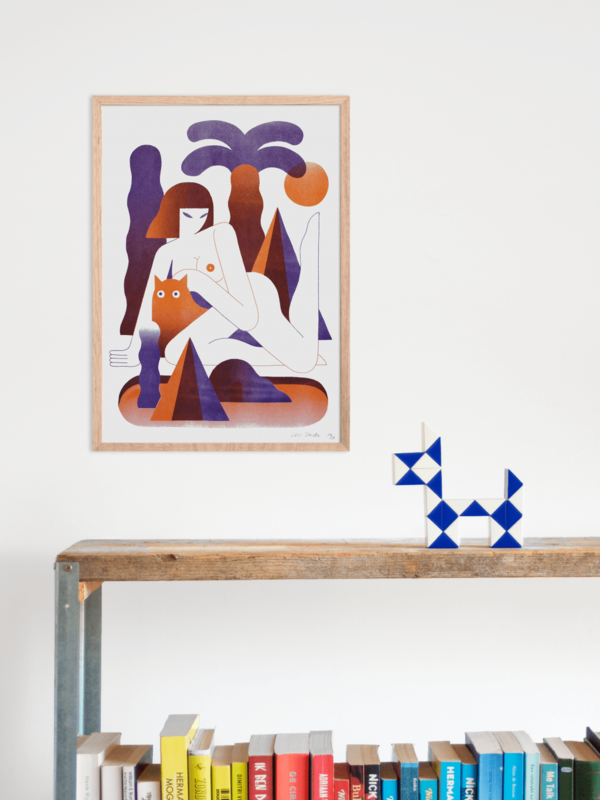 Textile designer Charles-Antoine Chappuis is also highly creative when it comes to photographing and presenting his unique products on his Wix website. 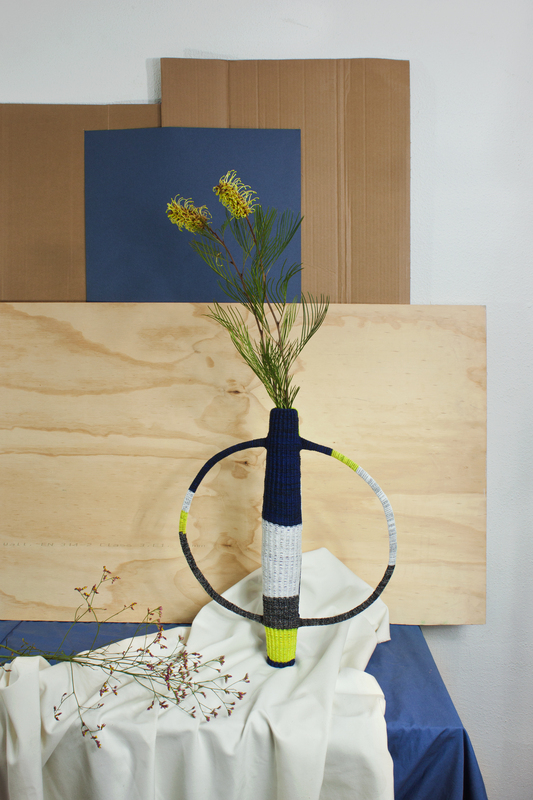 He sets up beautiful scenes, giving his textile vases the platform they deserve to stand out, while merging cohesively with the plants and other natural materials that he shoots them with. 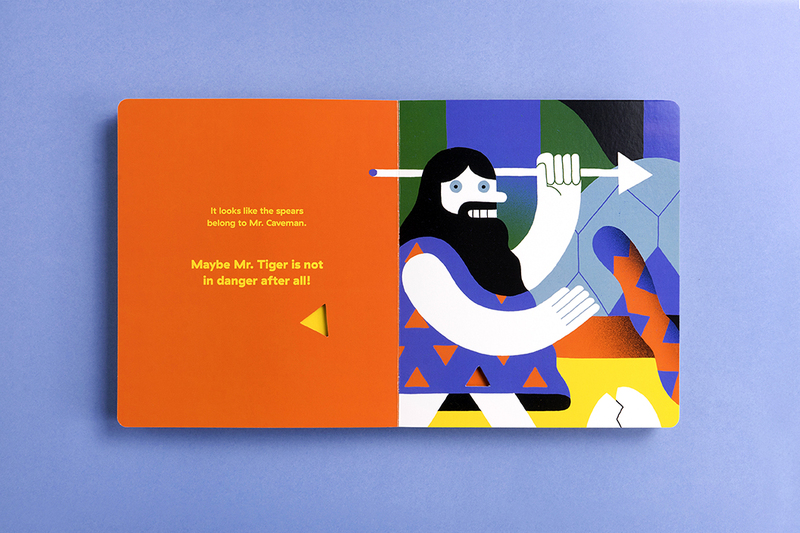 And as for balanced color combinations – Charles-Antoine is a master in the field. 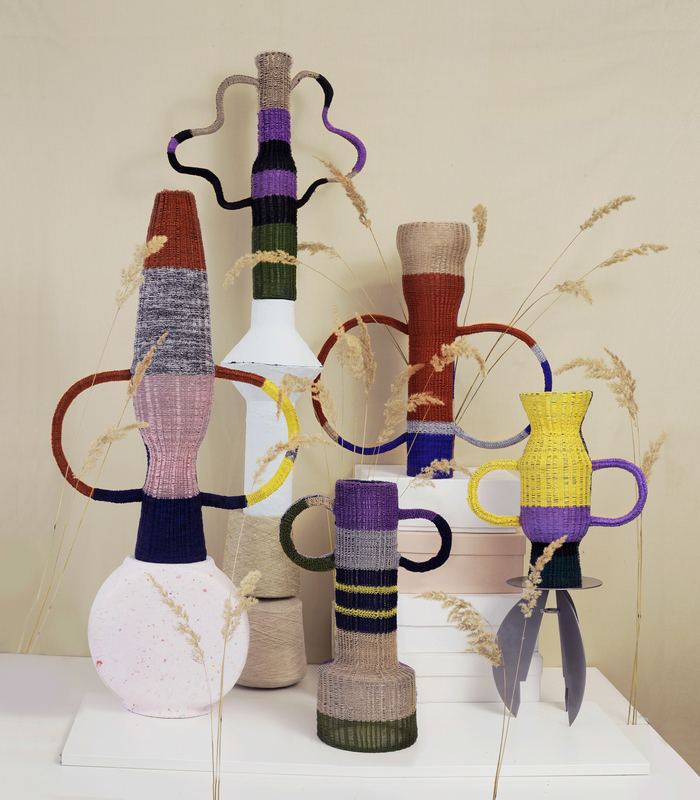 Pieces from Charles-Antoine Chappuis’ Vase Tapis Tapis project. Just like a certain playwright once wrote, “all the world’s a stage”. And that’s also true when finding the right location for a photoshoot. You could go for an outdoor urban photoshoot, or transform even the tiniest of apartments into a highly professional set (no one will ever guess you didn’t take your photos in a fancy photography studio). You’ll just need a few simple pieces of equipment. Other than the lighting (see below) or any extra objects like in some of the examples above, if you’re photographing a print, you’ll need a chunk of wall, plus push pins or nails for hanging up your piece. For 3D objects, grab your large sheet of paper and masking tape it to the wall, letting it drape down onto the floor, creating a seamless transition from wall to floor. This makes for an excellent backdrop. Make your reflector card by cutting the foam board into two pieces (the size depends on the scale of the object you’re photographing) and stick the two parts together with masking tape, so that they open and close like a book. You’ll be able to stand this up near your object to get the right lighting. If you’ve decided to go for the lightbox option, simply place it on a white surface. Lastly, place your print or object on the set, along with any extra objects you decided to incorporate. Setting the stage for a product photoshoot. Photography is all about lighting, so this is an important part to get right (no pressure). If you’re using the clamp lamps mentioned above, place them at a 45 degree angle, facing towards the piece you’re photographing. Turn off all other lighting in the area and, unless you’re going for a specifically high-flash hyperrealistic look, turn off your flash. If you’re photographing a 3D object, place the piece inside a lightbox, with your two lamps on either side, creating a nice even light. An alternative (and possibly more accessible) option is to simply use natural lighting, setting up your photoshoot as near as possible to a generously-sized window. Different products work better with different levels of lighting, but usually the first or last hour of sunlight will produce a soft kind of light that is easy to work with. And if you want to go for something more experimental, explore options of photographing in the great outdoors and playing around with the natural wonder that is light and shadow. Madrid based jewelry store, Cacto, have done just that, finding unique compositions for their pieces and emphasizing shape and form using shadow. Here are just a few of their stunning photos – check out more on their Wix website. 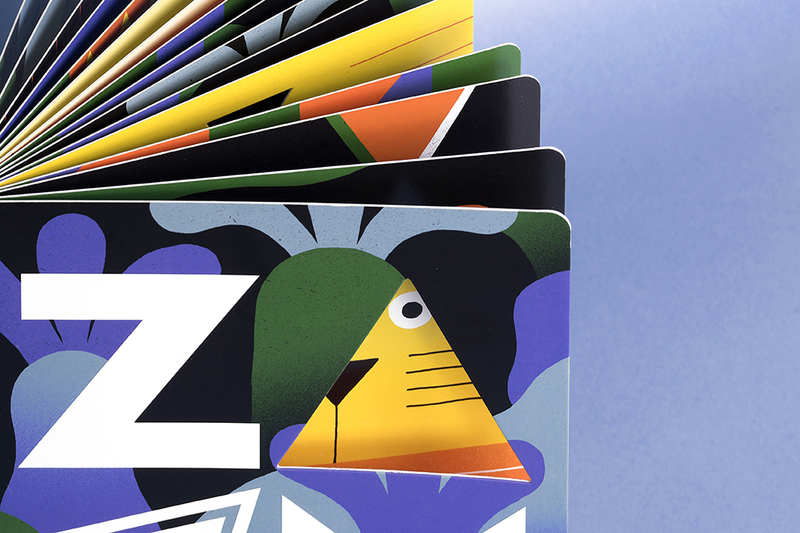 ZOOM: An Epic Journey through Triangles by Levi Jacobs, published by Viction Viction. For product photography, there are also a few standard angles: bird’s-eye view, 45 degrees and eye level. Photographing an object from 45 degrees gives a good, clear overview of the object as a whole, whereas you can use the other options (or come up with your own angles) to highlight certain details. Having an assortment of photos of your product will not only look great on your design portfolio, but will also work well as a carousel post on your Instagram account. 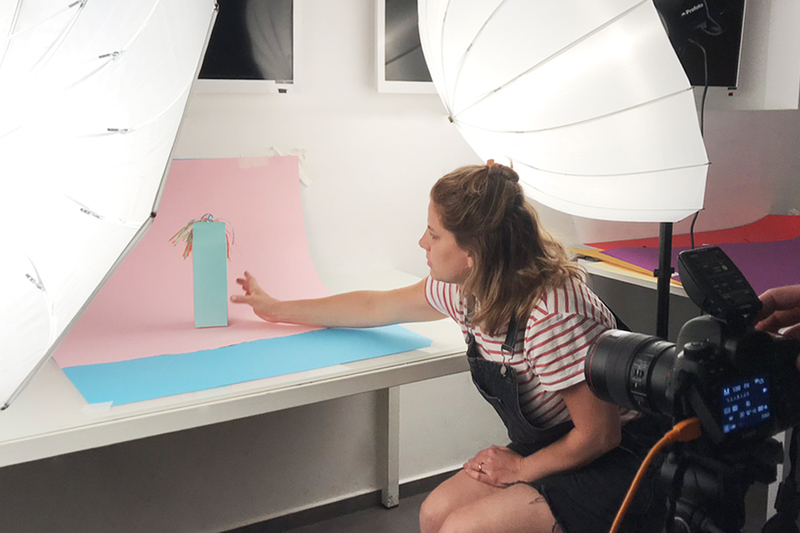 Design collective and Wix users Form&Seek are pros when it comes to product photography, finding the most aesthetic and complementary angles to present each piece of their collection. In designer Rive Roshan’s space divider below, they’ve drawn our attention to a specific part of the object, emphasizing the meeting point between the wood and the fabric. You, too, can use the ‘macro’ setting of your camera to clarify to your audience any important, technical or particularly intriguing details. Explore how the two bird’s-eye view photos below, showcasing works by Natalia Triantafylli and Tim Walker Studio, give a tranquil, aesthetic perspective on the designs. Loom Bound by Rive Roshan, photographed by design & practice. 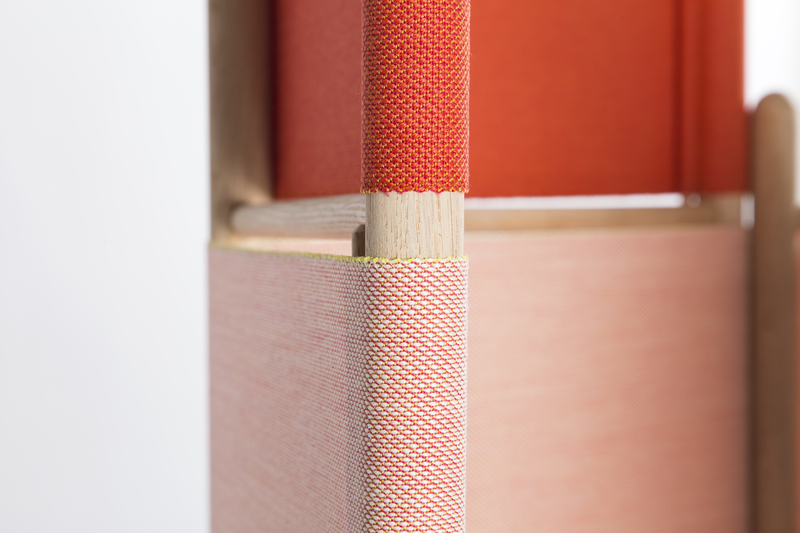 Loom Bound is part of Form&Seek Collection. Above: Lids with Vessels by Natalia Triantafylli, photography by Natalia Triantafylli. From Form&Seek London Design Week 18 collection. Above: Fruit bowl by Tim Walker, photography by Tim Walker. From Form&Seek London Design Week 18 collection. Hurray! Hopefully by this point, you will have taken many beautiful photos and are ready to transfer them to your computer. Take note not to delete any photos before seeing them on your computer, as the lighting can often look very different on different screens, and you don’t want to miss out on any precious material. In terms of editing, there are a number of smartphone apps for designers that you can use on-the-go, if you’ve taken the shots with your phone, for example Adobe’s Photoshop Express or Photoshop Lightroom. For desktop, Photoshop is classic for retouching product photography. Although it offers pretty much endless editing options, if your lighting was good to start with, it could be enough to simply adjust the ‘Levels’ and ‘Curves’ until you’re satisfied with the result. All of this will have been pointless if your photos end up abandoned in a long-lost file on your desktop, so this is the time to prepare them for uploading to your portfolio. Firstly, we’re all aware of our dwindling attention spans these days, which is why your website’s loading time is so important. Compressing images can help improve loading time, but be careful that they don’t end up becoming too pixelated. Your task is to find that sweet spot between small file sizes and maintaining high quality – and unfortunately, there’s not one simple answer that works in all cases. 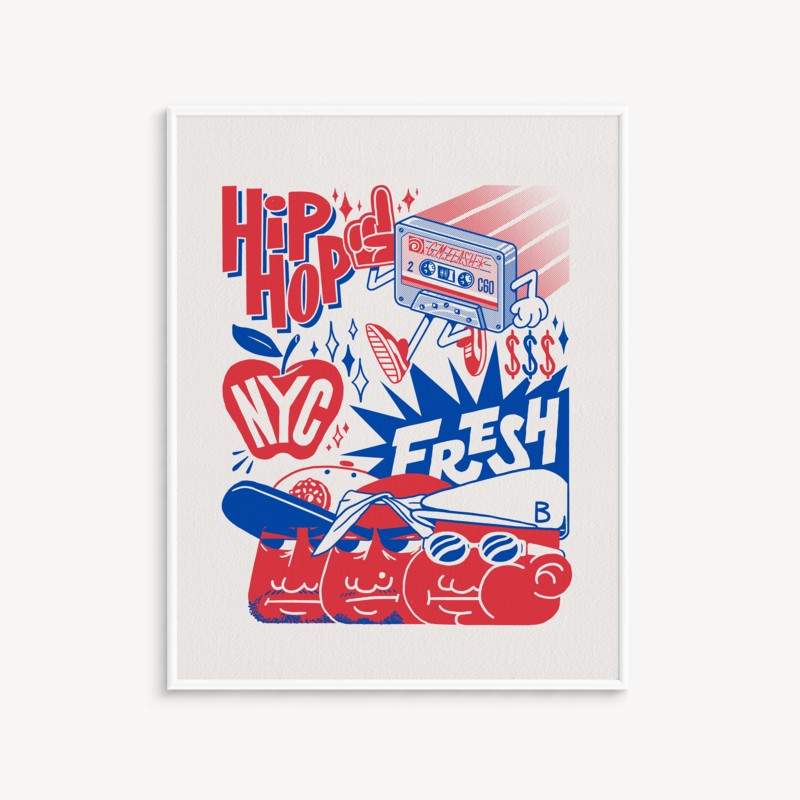 But we’ve thought of that: the Wix Pro Gallery automatically optimizes your images when uploading them to your site. All you have to do is export your files in JPEG format, with a resolution of at least 3,000px on the shortest side, and a maximum size of 15MB – and let our algorithm do the rest. Secondly, your website’s images can, in fact, play a key part in boosting your site’s ranking on Google. How? For each photo you upload, add alt text (a.k.a. alternative text). This is a few words that describe the content of your image. Try to think which words people would type into a search engine to find that specific visual. And hey presto – that’s your alt text. Read more about how to improve your website’s SEO (search engine optimization) here. And… that’s a wrap! For ideas on how to present your photos on your portfolio, creating a cohesive visual language, take a look at these inspirational website designs.